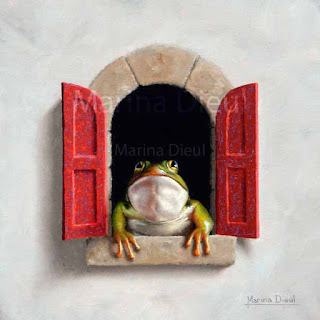 Marina Dieul: Little frog at the window. Little frog at the window. Yellow duckling with red scarf.